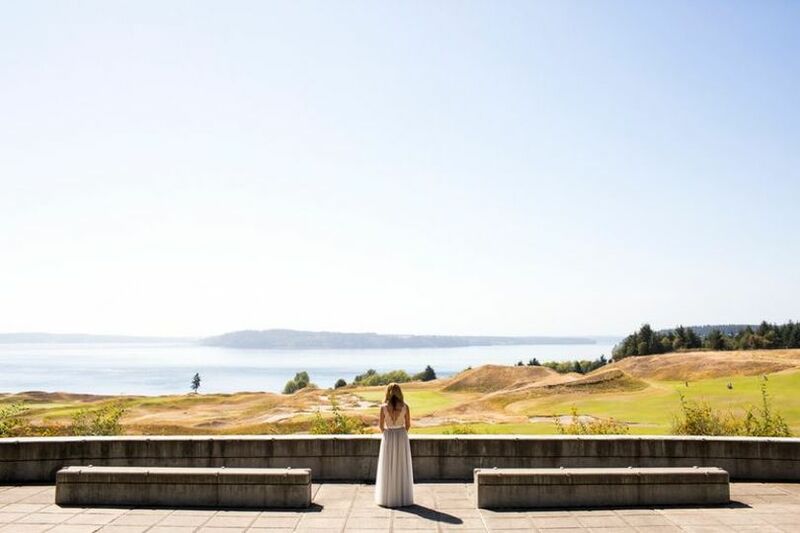 Chambers Bay is a country club with a ballroom in the greater Seattle, Washington area. 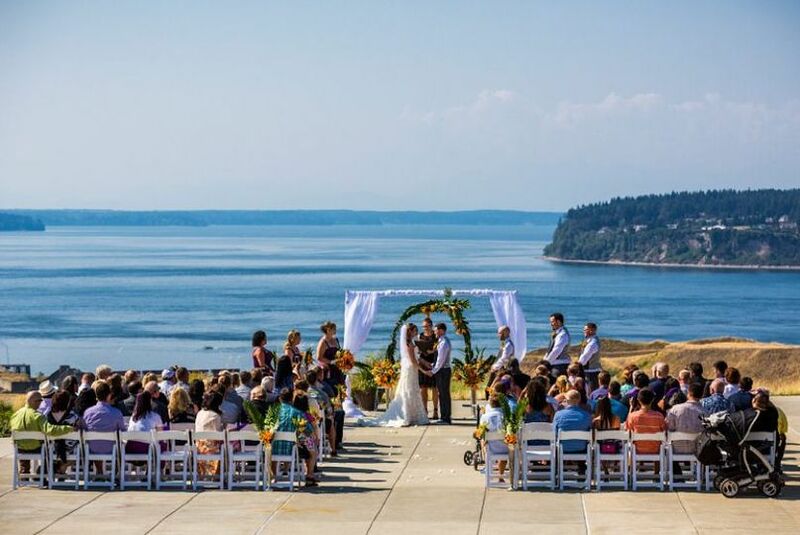 This elegant coastal venue offers views of the Olympic Mountains and ceremony sites on the banks of Puget Sound. 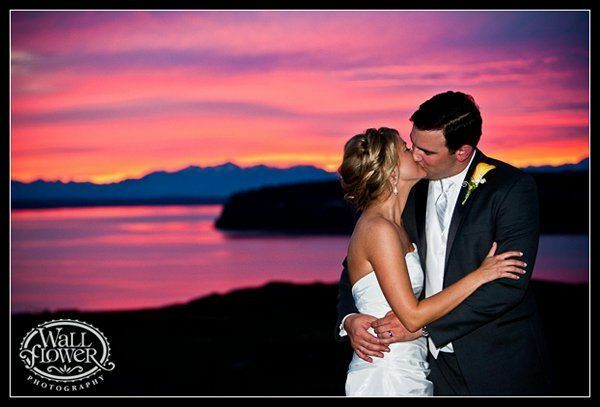 Couples can find this country club approximately 45 minutes from the Seattle-Tacoma International Airport. 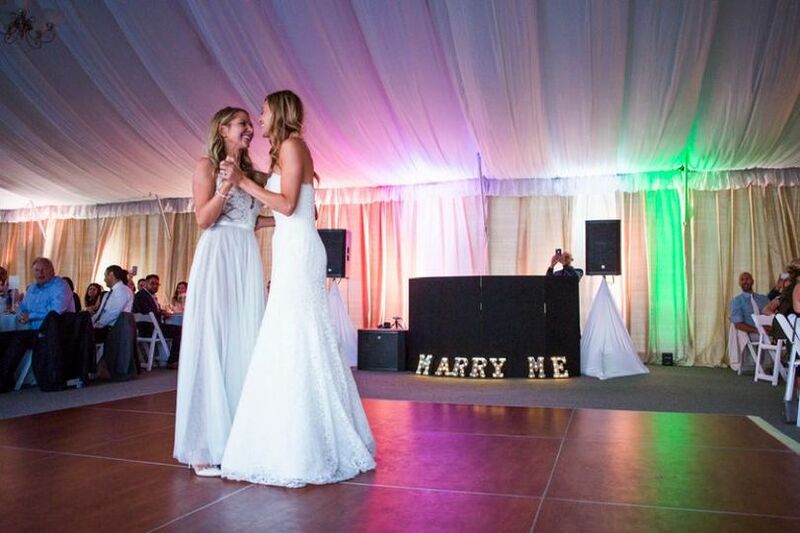 This venue welcomes up to 200 guests for a couple’s wedding. They can marry on the paved patio area right on the banks of Puget Sound. 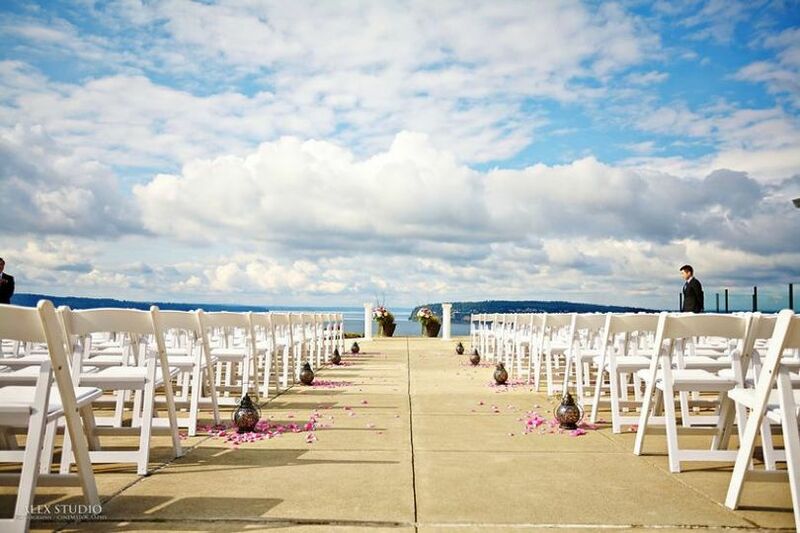 With a backdrop of blue sky and blue water, this romantic overlook location is a natural beauty. Guests can attend the ceremony in white folding chairs placed on the cement. 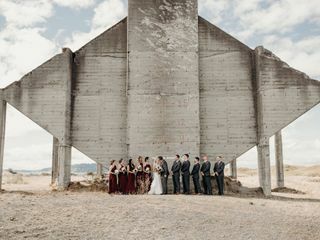 There is a tented Chambers Bay Event Pavilion providing shelter to couples’ receptions in seasonally appropriate months. This space features floor-to-ceiling windows of the breathtaking surrounding landscape, from the snow-capped mountains to the well-manicured golf course. This space features elegantly draped ceilings with dainty chandeliers evenly spaced in the middle of the room. The ground underfoot is carpeted with a dance floor in the center. There is also an open-air structure on this property reminiscent of ancient Roman architecture. Massive multi-story columns of concrete or stone support a long open ceiling. 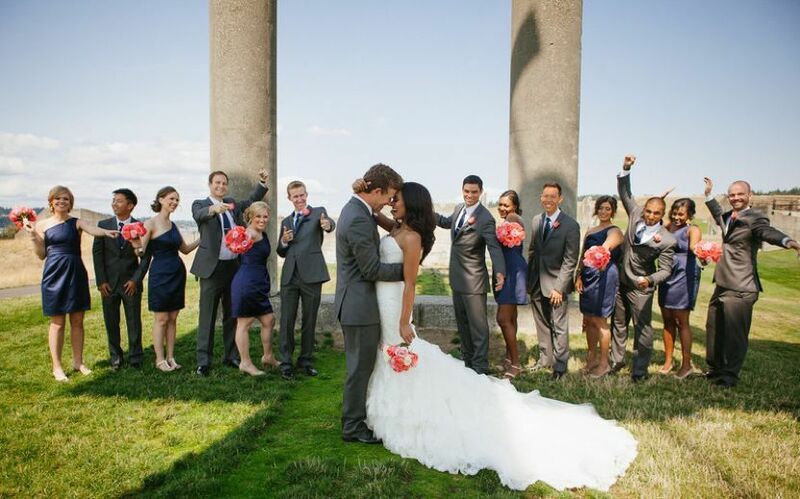 This is a magnificent location for wedding photographs with the wedding party or just with the couple alone. Kyra (day of coordinator) and Mariah (banquet captain/manager) were both very accommodating to all our ideas and would consistently reply within hours with answers to my many questions throughout the planning process. 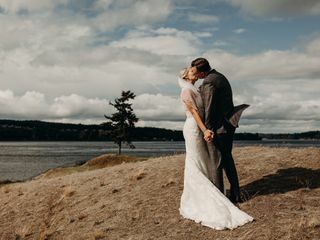 When the weather was looking unpredictable on the wedding day, they were both willing to wait out the rain and had their teams on full standby to set up or make changes however we decided. They also had shuttles and golf carts coordinated to help with transportation for bridal party photos and parking. My only suggestions for improvement would be for the facilities department to update the tented pavilion window panels which appeared aged/ripped in some places and to assign someone to double check on room set-up (we were missing our cocktail tables which somewhat re-located our cocktail hour). 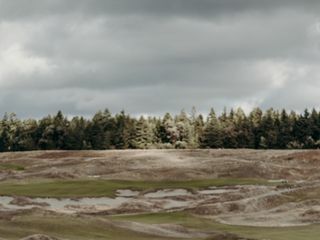 These were so minor in the grand scheme -- we absolutely loved our experience at Chambers Bay and will have many life-long memories from there! Thank you, Kyra, Mariah, and staff! 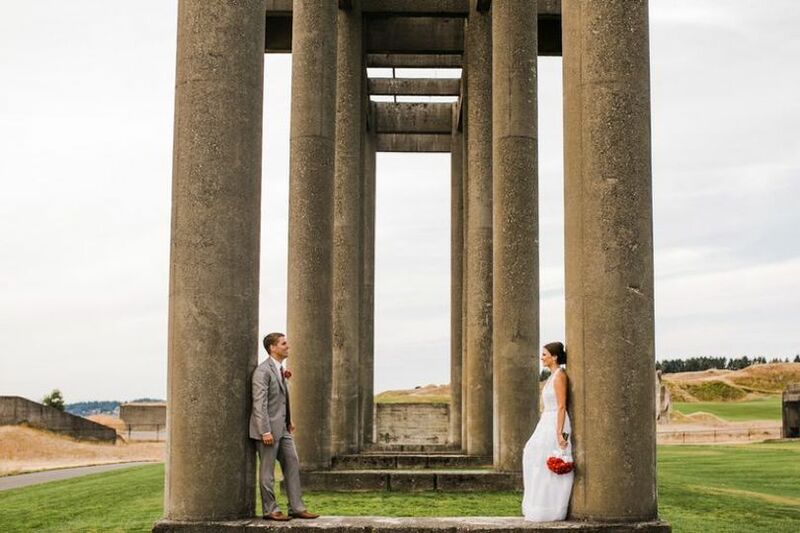 Chambers Bay was the perfect venue for us! The view is perfection, the food was delicious and the service we outstanding! We live out of state and had a third of our guests fly in from out of town. The view was super important to us and was just stunning. The Staff leading up to the day were great to work with and made planning from afar easy. 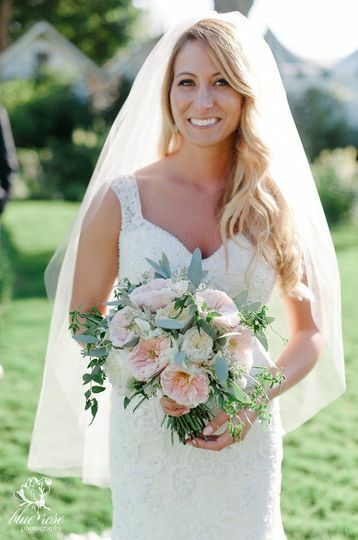 We received many complaints from a guests on the food and over all wedding! I highly recommend them as we would not have changed a thing! Such an amazing experience working with this team! The staff was extremely friendly from the moment we sat down to book. We used them for our bar service at the environmental services building next door. I asked if they had any root beer because I forgot my case at home, she ran over to the club house and found us some! 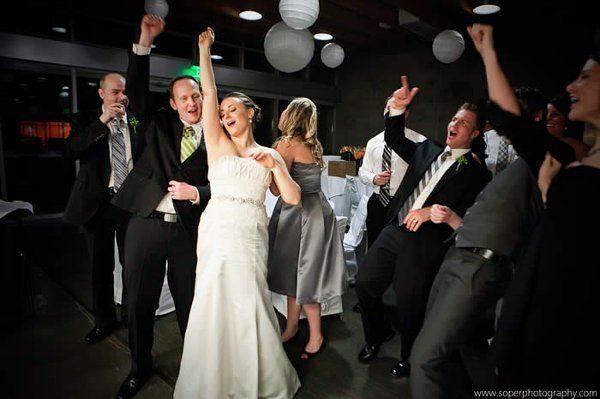 All our guest were having a great time so we extended open bar for another hour and it was so easy to do! The professionalism from everyone who worked here was great! I would recommend there services to everyone! Thank you Chantelle! 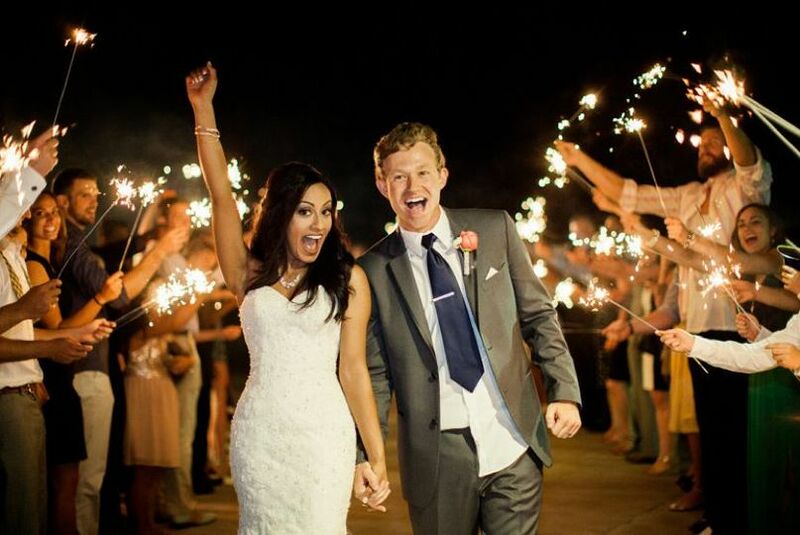 It was a wonderful celebration of a great couple! 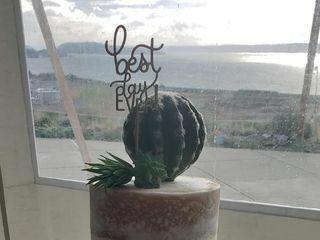 Chambers Bay is a great venue for an event: one of the best views in Tacoma, Great food and great service! 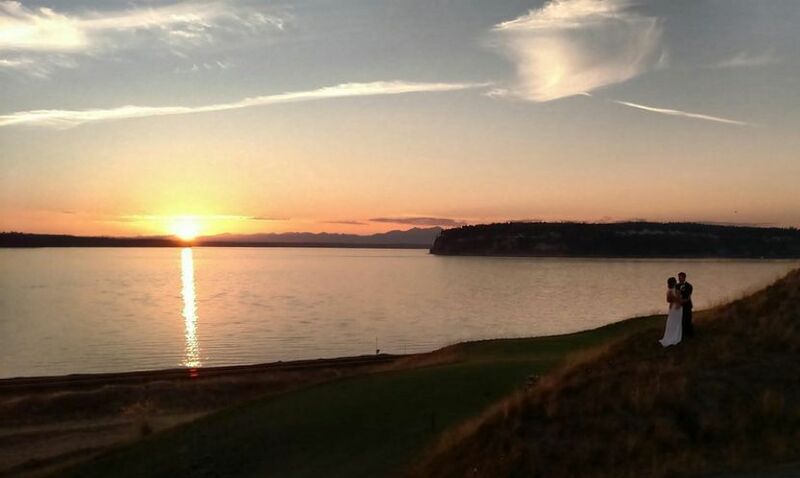 Hands-down, Chambers Bay Golf Course offers one of the most stunning sunset views in Tacoma! 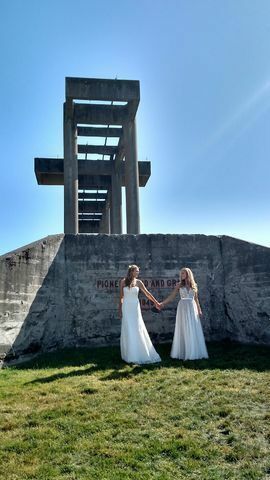 We&apos;ve really enjoyed photographing there and were able to get a fun set of portraits, with backdrops ranging from the huge Puget Sound view to the unique remnants of the old gravel mine. It&apos;s one of our favorite local spots and definitely worth a look.